GATA: - THE GATA DISPATCHES: Mexico's Central Bank Huge Gold Purchase / Lars Schall The War on Gold and Silver / Is Mexico buying Siver too? The central bank of Mexico bought nearly 100 tonnes of gold in February and March, the latest emerging market country to turn to bullion as a means of diversifying away from the faltering dollar. The purchase is one of the largest by a central bank in recent history. The gold, worth $4.6 billion at current prices, is equivalent to about 3.5 per cent of annual mined output. The central bank has not been publicly announced the move but has reported it both on its own balance sheet, posted it online, and reported it to the International Monetary Fund's statistics on international reserves. Central banks became net buyers of gold last year after two decades of heavy selling, a dramatic reversal that has helped propel the price of bullion to a series of record highs. 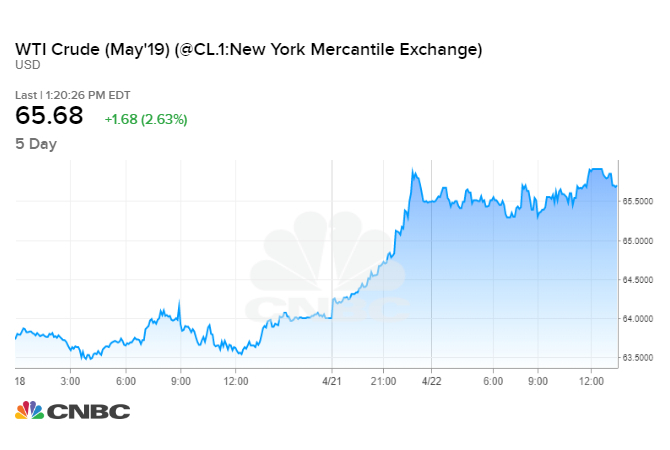 On Wednesday morning, gold was trading at $1,535 a troy ounce, down from the nominal record of $1,575.79 touched on Monday. Mexico follows other booming emerging-market economies, including China, India, and Russia, which have all made large additions to their gold reserves in recent years. Matthew Turner, precious metals strategist at Mitsubishi, the Japanese trading house, said the purchase "seems to confirm there's an appetite now among emerging economies with large forex reserves to add to their gold reserves. Gold is seen as one way in which to diversify away from the dollar- or euro-denominated assets." The dollar has plunged 10 per cent since January against the world's major currencies and is trading near an all-time low. Robert Zoellick, president of the World Bank, has suggested that gold should form part of a new international monetary system. China announced in 2009 that it had bought 454 tonnes of gold over the previous six years; India bought 200 tonnes of gold directly from the International Monetary Fund in October 2009; and Russia has bought just less than 400 tonnes on the open market over the past five years. However, Mexico's buying in February and March, which amounted to 93.3 tonnes of gold, is one of the most rapid programmes of accumulation on record. Apart from India's off-market purchase in 2009, the 78.5 tonnes bought in March is the largest monthly purchase by a central bank in at least a decade, according to data from the World Gold Council. The Bank of Mexico could not be reached for comment on Wednesday morning. Mining Interactive: Mawson Files one of Finland's Largest Claim Applications At Rompas. The shallow drill program previously reported at Rompas has been completed. After the last year of exploration, Rompas has been proven to be big and high grade. And now Rompas has been proven to be a smaller part of a much larger gold-uranium mineralized camp over 30km. And Mawson has secured 100% title to this area. Wow! And Mawson will be back on the ground in the next few weeks due to an unusually warm start to summer. This will give the Company a full 5 month run to explore, define and increase the size of the exciting Rompas discovery and beyond. The other side of the coin is the warm start to summer has meant the shallow-hole drilling was completed earlier than expected. To manage expectations, and as Mawson’s President, Michael Hudson, has been informing those in his recent marketing campaigns, the completed drill program was not permitted or intended to be an ore discovery program. On average each drill hole went into the basement below soil cover for only one or two meters. Each hole was designed to give the Company’s geologists great knowledge of the rocks that lie below soil cover along strike from the bonanza grades of gold and uranium found at surface. Mawson is working diligently to advance its understanding of this exciting discovery and working hard behind the scenes to keep the permitting process on track. It is widely understood that Finland is slow to permit, but is one of the most secure jurisdictions for exploration and mining in the world. This large new area defined and secured by Mawson is extremely positive indeed! Stay Tuned - - Stay Tuned - - Stay Tuned - - as the Mawson Story unfolds!! AN air-conditioning failure crippled Westpac's IT systems throughout the nation one day after reporting record profits of almost $4 billion. SONY told US lawmakers that an intruder left a taunting message for the company in a recent computer attack. SONY'S security crisis is a critical test of the skills of Kazuo Hirai, the man most likely to become the electronics giant's next CEO. TELSTRA'S aggressive discounting of mobile phone plans has helped cement its market-leading position. A GROUP of wireless broadband providers has warned the government it must resuscitate its bush broadband subsidy scheme. NBN Co chief Mike Quigley, has told a parliamentary committee he will not appear before the next Senate estimates hearing. THE idea that Australian talent will be wasted is alien to Rob Murray, founder of Melbourne-based games maker Firemint. IN his school yearbook, Phillip McGriskin proudly listed his sporting achievements, but was more modest in his career aims. SONY Computer Entertainment Australia has refused to provide an iron-clad guarantee that it destroys users' outdated personal information. VODAFONE Hutchison Australia will break away from its mobile roots and provide fixed-line services to residents for the NBN. The Economist Asks: Should Warren Buffett's son take over as independent chairman of Berkshire Hathaway? Online debate: Is a 2% inflation target too low? Yesterday it was skills, today, tough love: Julia Gillard's budget story continues. The PM's diary: Julia Gillard is in Campbelltown, Sydney, this morning to announce at 9.30am her budget plan to crackdown on welfare dependent teenage mothers, who'll be forced back to school in a move designed to tackle inter-generational poverty (report). The PM will spend the rest of the day in Sydney before travelling to Adelaide tonight. Tony Abbott is in northern Tasmania this morning and will fly to Adelaide this afternoon to continue his campaign against the carbon tax. Wayne Swan is blitzing the media this morning, appearing on Sky News, ABC Melbourne with Waleed Aly and ABC Sydney with Deb Cameron. Tony Windsor talks to Capital Circle about plummeting support for the carbon tax: "I've been critical of the salesmanship of this. But what I take from this (Newspoll) is that 78 per cent of people believe in climate change and given the Abbott line has really to been to denigrate climate change, I'm surprised, given the onslaught. "If I was a government - and I'm not - I'd be encouraged and the point I'd make to them is to get your marketing right.'' More online at www.theaustralian.com.au later this morning. Under wraps: Defence Force boss Air Chief Marshal Angus Houston hosted a visit to Canberra by Pakistan's Chairman of the Joint Chiefs of Staff Committee, General Khalid Shameem Wynne, this week. After further meetings with Minster Stephen Smith, national security types and the chaps at ASPI Houston and Wynne "discussed the security situation in Pakistan and our shared interest in countering violent militant extremism there...Both sides welcomed the recent United States operation that resulted in the death of Osama Bin Laden''. Inquiry: The House of Representatives Infrastructure and Communications committee is conducting an inquiry into NBN and will hold public hearings in Perth on today and Friday. Ukraine's president signed an exploration agreement with the United States and reached an accord with the European Union that opens Ukraine's pipelines to Western companies. China is poised to invest up to $2 trillion overseas in the next decade, but whether the United States will participate is a big question, a study says. Intel's new design uses a remarkably small fin that could make smaller, faster and lower-power chips. Portugal had to offer higher rates to sell short-term debt Wednesday, suggesting that investors were still nervous, even after its caretaker government agreed to a rescue plan. Golf-related apps have been around awhile, but the lineup has improved significantly with time. President Obama tells '60 Minutes' that he has decided not to release photos of Osama bin Laden's body, CBS News reported Wednesday. Why the debate over whether to release a photo of Osama bin Laden is politically important. Across the political spectrum, Americans are more ideological in their political views, according to a new Pew Research Center study. It’s that time of year again — time for the incredible, over-analyzed special elections. Former President George W. Bush, who has largely stayed away from politics since returning to Texas in 2009, has praised Obama and his administration for hunting down bin Laden, but opted not to attend Thursday's event. Financial & Forex Info | Reuters -m Daily Investor Upsate. Wall Street ends down on Economic Worry. MarketWatch | Personal Finance Daily | Financial-bureau fight is bad news for consumers. Would a delay in the establishment of the much-touted and long-awaited Consumer Financial Protection Bureau help or hurt consumers? As is often the case in Washington, D.C., it depends on who you talk to. Andrea Coombes talks to quite a few consumer advocates and lawmakers and reports today on the potential impact and the importance of political perception of three proposed pieces of legislation that could really dull the regulatory teeth of the CFPB, if passed. And don't miss Robert Powell's Your Portfolio column today. He talks with some of the nation's top investment advisers about the outlook for potential market risks, including high energy prices, changing inflationary expectations and the government's debt problems. These, he says, suggest some sort of near-term consolidation. The Consumer Financial Protection Bureau, a key component of the Dodd-Frank bank-reform law, could find its sharp regulatory teeth dulled if three bills now under consideration in the U.S. House of Representatives become law. And consumer advocates say that, even though it's unlikely these bills will make it through the Senate, the mere fact of their existence signals trouble ahead for the agency. Read more: Financial-bureau fight is bad news for consumers. The competition for rental homes is heating up as more Americans choose to rent instead of buy. And that increase in demand is driving up rents in some markets. Here are six ways to find the best deals on rent. Read more: Six tips to finding the best deals on rent. As home values continue to decline and loan-to-value ratios rise, the number of homeowners choosing to walk away from their mortgage obligation will relentlessly grow. That means growing trouble for nearly all major housing markets around the country, writes Keith Jurow. Read more: Strategic defaults could get very ugly. As walls of worry go, this one has more than a few of cracks. And those cracks are getting more and more worrisome according to some of the nation's top investment officers. Read more: Near-term consolidation may be coming fast. Is gold about to go vertical? If you want to bet on a mania, you have any number of options. Read more: Is gold about to go vertical? Have any doubts about how overheated the gold market has become in recent weeks? Read more: Funny thing happened on way to bank. The U.S. service sector continued to expand in April, but at a much slower rate compared to the prior month, according to a survey of senior executives. Read more: Growth in service sector dramatically tapers. The amount of debt to be auctioned off next week is unchanged from the government's previous refunding. The auctions come at a time of partisan political disagreement over whether to raise the government's debt ceiling. Read more: U.S. to auction $72 billion in quarterly refunding. The U.S. private sector added 179,000 jobs in April, the lowest increase since November, the payroll-handling firm Automatic Data Processing Inc. said Wednesday. In a separate report, Challenger Gray says company layoffs fell in April to their third lowest level in 16 months. Read more: ADP: U.S, firms add 179,000 jobs in April. The ISM and ADP reports show the U.S. economy is growing, but not nearly as fast as we'd like, writes Rex Nutting. Read more: Economy is growing, but too slowly. China, Japan and South Korea are said to be looking at the possibility of substituting their own currencies for the U.S. dollar in regional trade settlement. Read more: Asian trio to study dollar alternative. China's transformation to a high-income nation will be nearly completed within five years, though the rise will come at a price — including surging unemployment, as its competitiveness in low-wage manufacturing erodes — according to analysts at Daiwa Capital Markets. Read more: China's long march upward faces hurdles. Panetta: relationship with Pakistan "difficult"
SAN FRANCISCO (MarketWatch) -- U.S. stocks closed broadly lower Wednesday as investors focused on disappointing data from the U.S. services sector and on private-sector jobs growth. The Dow Jones Industrial Average /quotes/comstock/10w!i:dji/delayed DJIA -0.66% fell 83.93 points, or 0.7%, to 12,723.58, led by a 2.2% drop in Caterpillar, Inc. /quotes/comstock/13*!cat/quotes/nls/cat CAT +0.06% shares and a 1.8% retreat in General Electric Co. /quotes/comstock/13*!ge/quotes/nls/ge GE +0.05% . The S&P 500 /quotes/comstock/21z!i1:in\x SPX -0.69% fell 9.3 points, 0.7%, to 1,347.32, with energy and materials leading a drop in all sectors. The Nasdaq Composite /quotes/comstock/10y!i:comp COMP -0.47% lost 13.39 points, or 0.5%, to 2,828.23.